I’m a goal oriented person. It helps me stay on track and focused. Otherwise, knowing myself well, I’d just move from day to day and not have a whole lot of intent and purpose. I create goals for my business. I create goals for my personal life. I create physical goals to maintain good health and continually challenge myself. 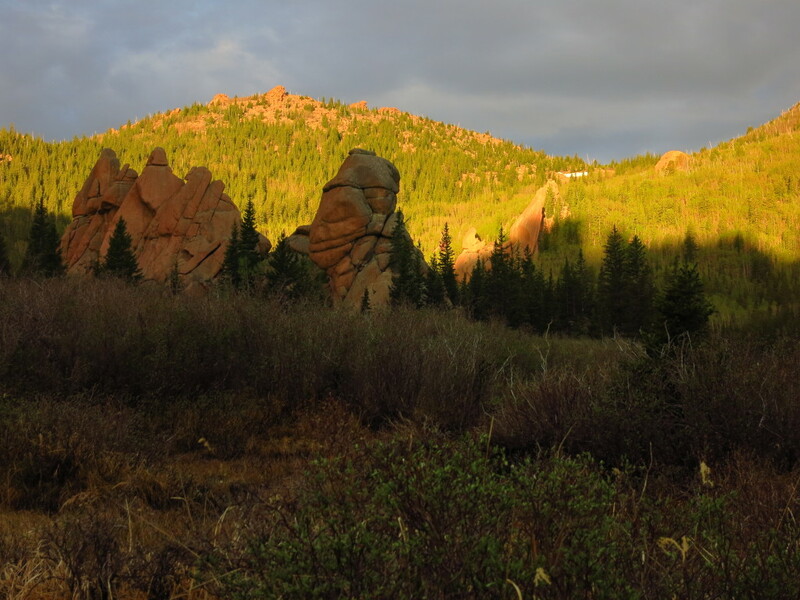 From a backpack trip with my son into the Lost Creek Wilderness area. New Year’s resolutions are generally things that people resolve to do and then toss aside, having not kept them and then feel guilty for not having “stuck with it”. A few years ago I changed it up slightly to New Year’s Goals. Quite often I won’t achieve a goal and I think that is healthy. For example, I have a goal to one day run a 5k running race in less than 20 minutes. Each year, I fall a little bit short of that goal. Each year it motivates me to keep working hard toward it. However, each year I age, the more difficult it is to achieve that specific goal. The other week I looked over my personal goals for the year. Now most of these are around the outdoors, hiking, hunting, etc. It’s what I’ve come to love to do in the last few years as my son has grown older and I have more free time in my personal life. 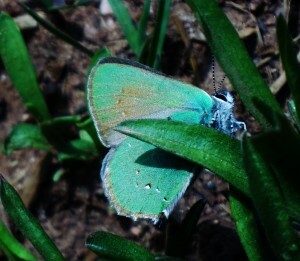 Green Hairstreak Butterfly from a day hike on the Mesa Trail in Boulder. So I’m going to lay out my goals for the world to see. They might seem shallow, peculiar or interesting. They might surprise some people but not others. The point is my goals are my goals, they are what help me stay focused in life. They are what bring me vitality and keep things interesting so I don’t get bored. Because I get bored easily! The year isn’t over yet and I got off to a slow start on this. My first night out was April 1st and then was successful during June, July, August, September and now October. So far I’m 6 out of 10. An annual goal of mine is to spend a month of nights sleeping in a tent in the wilderness. I am currently at 23. I’m on pace to be a bit short unless I muster some cold weather camping from now until New Years Eve. I ended up not tracking the walking because it was just too tedious to track 1.2 miles a day for dog walking, etc. My goal for hiking was 700 and I’m currently at 454. I wanted to run 1,000 miles and I’m at 543. So I’ll fall short on these goals mainly due to limitations of time and because of work. But I’m running faster and I’m a stronger hiker than I was a year ago, so volume goals aren’t always indicative of progress in strength and endurance. In November I’ll compete in my second of the year. After the spring half marathon I decided that competing in four would require me being too focused on just running, so I was content to let this slide. I love competition, perhaps too much to where it is not a healthy goal for me. But I like the occasional race and feeling of health that comes with it, so doing just a couple is a good goal. I did one six day and one four day hunt. So goal accomplished there using different equations. 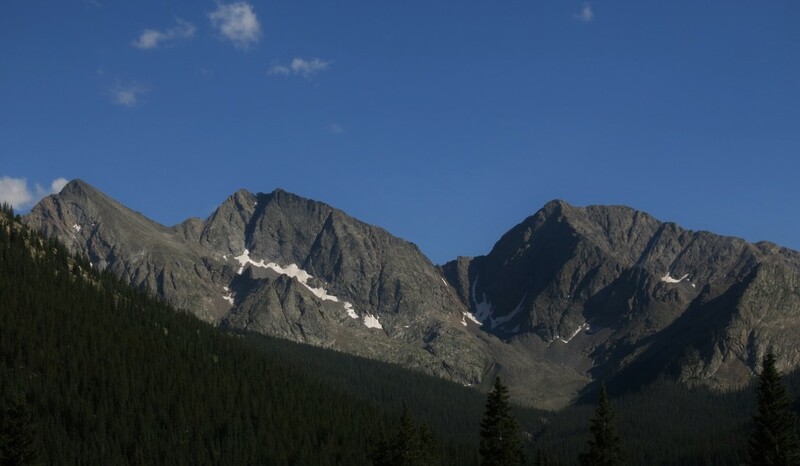 I successfully completed this and have now completed the entire portion of the Collegiate Loop of the Colorado Trail. I started well but lost pace once the warm weather hit. I’m currently reading my seventh book of the year. Purchase a state parks pass and Boulder county open space permit. So these were my personal/physical goals for the year. As you can see most of them are based around the outdoors. In fact all of them except for reading. I’ve never gained much in a spiritual sense from being in a gym. I need to feel the wind in my face, the ground under my feet or tires, the smells of nature or even exhaust sometimes. To be productive in my vocation and do a good job I am renewed by outdoor experiences. So it is vital to my well being. I’ve also discovered that it is where I experience the deepest spirituality in my life. I’ve drifted away from the formal “church” in recent years. I’m not less shallow in my faith, but I just don’t connect to a corporate setting in a building with lots of people. Perhaps heavy involvement in churches and being in the mission field affected that. But I’m totally at peace with it. So these are my personal goals from 2016. I have business goals and goals within relationships as well. They all help keep me on track. I’ve noticed that I like having goals that will be a stretch and that I won’t hit the “mark” that I’ve set for myself. I plan to have more of those in the next few years because becoming an empty nester means I need to have a bit more focus with my son going into the military. We’ll see how those goals pan out in the next five years or so. This entry was posted in Enrich, Randomness, Solace and tagged Backpacking, Goals, hiking, New Years Resolutions, Running, Self-Care by Matthew. Bookmark the permalink.